Gallery / Saga Press, 9781534404717, 1584pp. 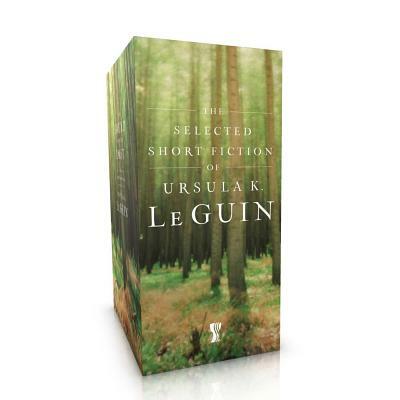 Combining The Found and the Lost and The Unreal and the Real, this comprehensive boxed set contains many of Ursula K. Le Guin’s award-winning short stories and novellas. For the first time, the legendary Ursula K. Le Guin's most iconic short stories and novellas have been combined into one boxed set. Coming in at over fourteen hundred pages, this collection is the perfect addition to your bookshelf. In 2014 Le Guin was awarded the Medal For Distinguished Contribution to American Letters by the National Book Foundation. Among her many accolades, Le Guin has been awarded the National Book Award, the Hugo award, the Nebula award, the World Fantasy award, the Pushcart Prize, the Newbery Honor, the Margaret A Edwards award, the PEN/Malamud award, the Tiptree award, the Locus award, and she has been a finalist for the Pulitzer Prize for her novels and stories.